Apple held a major event today for the first time in their brand new Steve Jobs Theater. The Apple September 2017 iPhone Event showcased several new products for the giant tech conglomerate. They will also be introducing “Today at Apple.” Today at Apple will be a series of daily specials taught by creative professionals covering topics such as coding and photography. Apple made two major announcements when it comes to their Apple watch product line. The first announcement was the upcoming release of a new software update for all Apple watches called watchOS 4. This new update mainly focuses on health and fitness as it comes with a new and improved heart rate monitor as well as a new way to connect your watch to workout machines at the gym. watchOS 4 will be available September 19th. The second announcement was even larger as Apple showcased their new product called the Apple Watch Series 3. This new watch will be able to work independently from the iPhone as it will now offer the ability for a mobile connection. You will be able to send or receive calls, browse the internet, and even stream music without the need to be linked to your phone. The Apple Watch Series 3 will come in two versions. 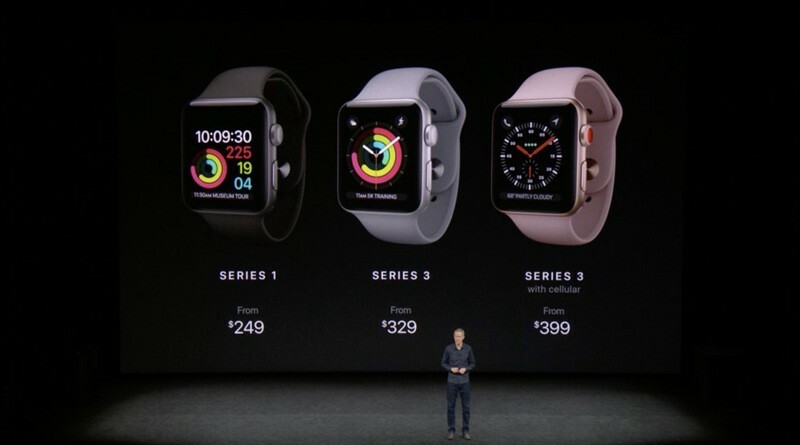 The cellular and wi-fi version will begin at $399 while an Apple Watch 3 with just wi-fi will start at $329. The Apple Watch Series 1 will now retail at $249. The Apple Watch Series 3 will be available for pre-orders on September 15 with a launch date of September 22. We are all aware of Apple TV, but today Apple announced their next installment of the product line offering 4K quality. Not only will they be offering 4k quality, Apple has also been working with the biggest film studios to bring 4K movies to iTunes for the same price as HD movies. The new Apple TV box will also come with a chip upgrade to the A10x chip, the same one used in the iPad Pro. 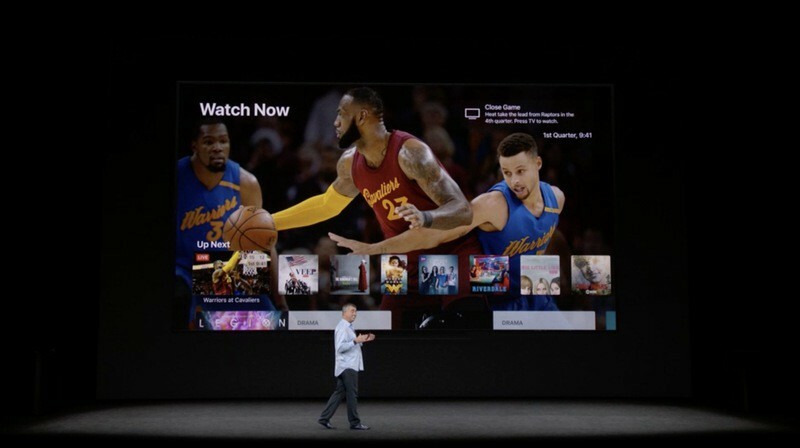 Apple will also be bringing live sports to their TV app as they really target sports fan, and they will also be bring live news as Apple tries to make it an all-in-one TV experience. The new Apple TV 4k will cost $179 for 32 GB of space and $199 for 64 GB of space. 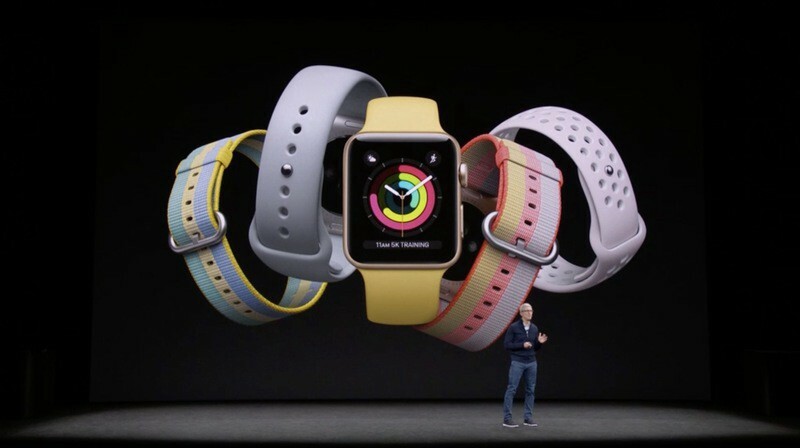 It will be available to order just like the Apple Watch Series 3 on September 15 and will become available on September 22. The headliner of the event was, of course, the announcement of the new iPhones. Apple did not disappoint. Let’s begin with the all new design for the iPhone 8 & the iPhone 8 Plus. The new phones have glass both on the front and the back with an aluminum band that matches the finish of each iPhone coming in Silver, Space Gray, and new Gold Finish. 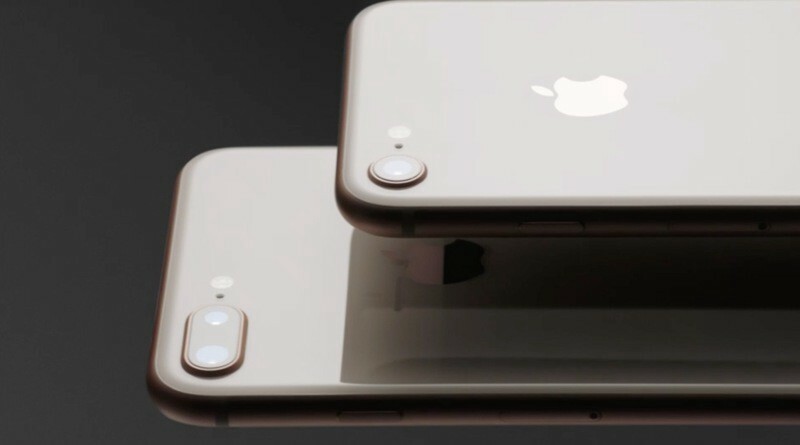 For those worried about breaking the glass, Phil Schiller, senior vice president of worldwide marketing at Apple, assured everyone that the glass is reinforced with a steel and copper structure making it the ” most durable smartphone” yet. With the outside having a new look, the inside is also following suit with an all new A11 bionic chip. This new chip has two performance cores and four high-efficiency cores making it leaps and bounds faster than the A10 chip that you would find in the iPhone 7. The devices also have 4.7 inch and 5.5 inch retina displays as it runs on the bionic chip. For those photography lovers out there, the iPhone 8 comes with a 12 mega-pixel rear facing camera that is more powerful than the iPhone 7. The Plus is even more equipped as it comes with horizontally aligned duel-lens cameras with the wide-angle lens having f/1.8 aperture and the telephoto lens has f/2.8 aperture. Another amazing feature with the iPhone 8 and 8 Plus is that they will be able to have wireless charging thanks to Qi Standard technology. The devices will work with third party wireless chargers such as Mophie and Belkin. The iPhone 8 and iPhone 8 Plus will be available in 64GB and 256GB storage ranging from $699 and $799 respectively. It will be available to preorder on September 15 and will be available on September 22 similar to the new Apple watch and tv4K. The iPhone 8 & 8 plus were not the only iPhones they announced. 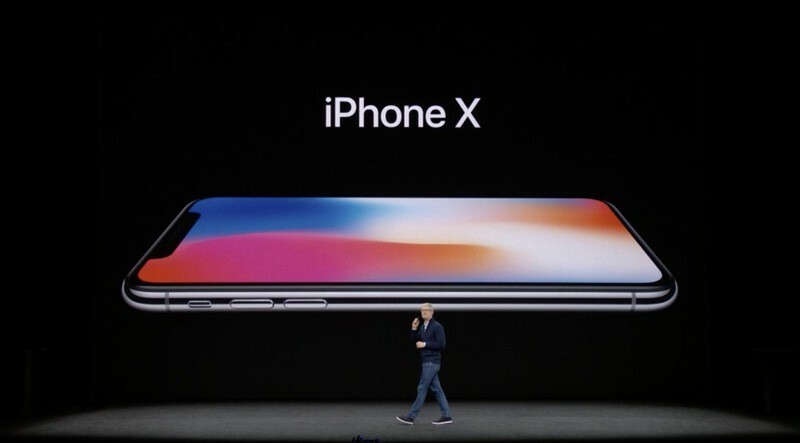 Apple also announced the iPhone X (“iPhone 10”). Marking the 10th birthday of the iPhone, the iPhone X has an edge-edge display with a vertically aligned dual-lens rear camera. There is glass surrounding the entire device, and it is also dust and water resistant. The iPhone X will come in both space grey and silver. The device has a display OLED display, being 5.8 inches, 2436 x 1125 resolution and 2.7 million pixels. It demonstrates a super retina display that supports HDR in both HDR10 and Dolby Vision formats. The device will also come with a 12 MP dual-lens camera that is optimized for augmented reality. Probably one of the biggest changes with the iPhone X is that there is no longer a home button or touch identification. Doing away with the home button, the new device will have you swipe up from the bottom to access the home screen. 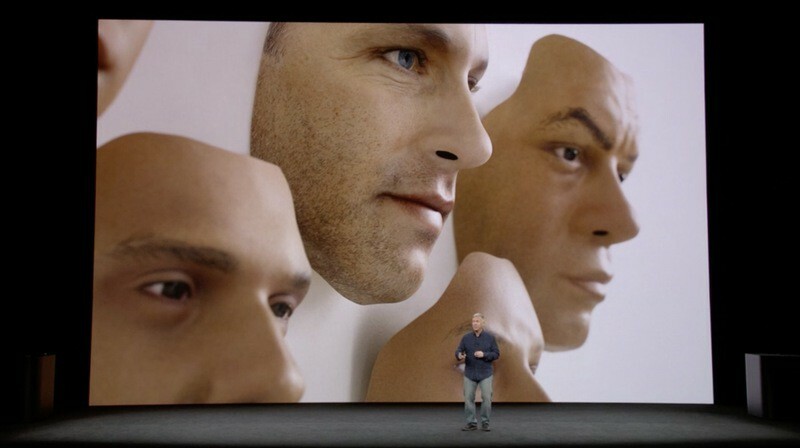 The iPhone X will also have Face ID allowing you to unlock your iPhone with your face in place of Touch ID. The facial data will be securely protected by the A11 bionic chip’s secure enclave. If you are worried about the security of this, you shouldn’t be. The chance someone else could look at your iPhone and unlock it with their face is 1 in 1,000,00 in contrast to the 1 in 50,000 chance that Touch ID can be compromised. 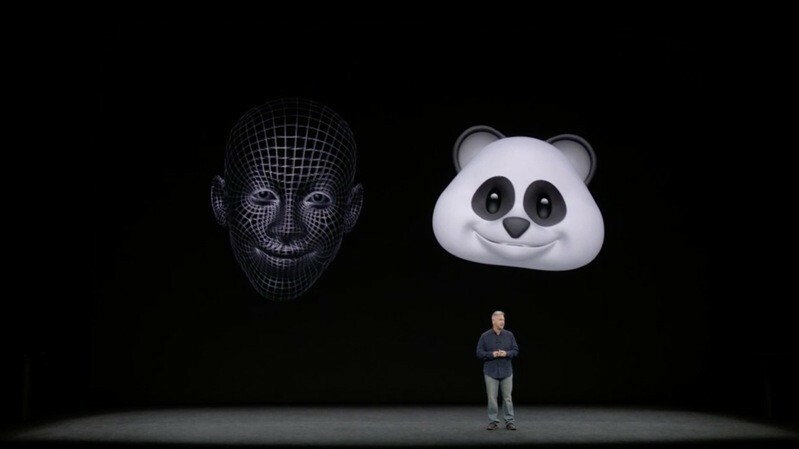 The facial recognition software will also be used for Apple’s new introduction of Animojis, basically emojis that are controlled with your face. Another great feature of the iPhone X is the extended battery life. 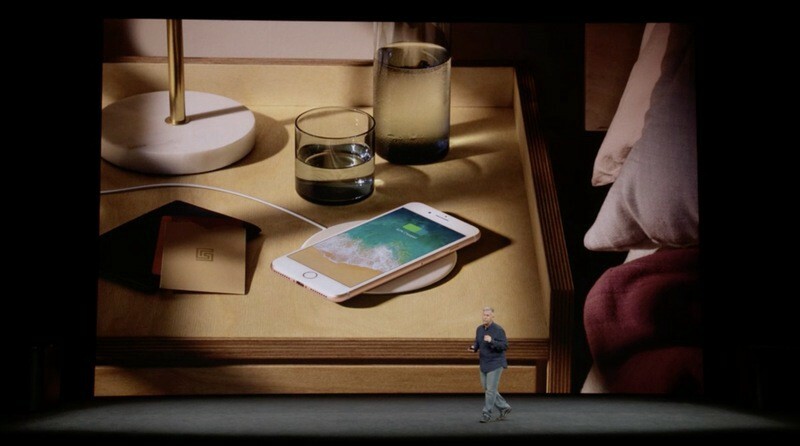 The iPhone X comes equipped with a larger battery and wireless charging capabilities. Apple has also created AirPower, a new wireless standard for this device. You won’t need to worry about short batter lives anymore. The iPhone X will be available for pre-order starting October 27 for a November 3 ship date. Storage capacities available include 64 GB and 256 GB. The retail price begins at $999. As we all are probably anxious to get our hands on the new iPhone, feel free to check out some our other great articles in the meantime.